A divorce is never an easy thing to deal with, even in the most amicable of situations, and the stress and sadness a divorce can cause on the involved parties can often lead to drug and alcohol abuse. Alternatively, many divorces are actually caused by the addictive behaviors of one or both spouses, behaviors which can get even worse as a result of the divorce. 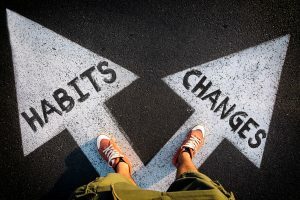 In today’s article, we will discuss the impacts of drug and alcohol addiction on divorce and child custody proceedings, and provide readers with links to resources which are designed to help individuals and families deal with and overcome drug and alcohol addiction. When the drug or alcohol addiction of a spouse leads to a divorce, that divorce may potentially be filed for as a fault-based divorce. Due to the fact that these specific fault grounds (drug or alcohol addiction) have the potential to affect any children involved, many times the parent experiencing the addictive behavior will have their child custody and visitation rights limited as a result. Even in no-fault divorces, given sufficient proof of drug or alcohol addiction, the addict parent can also find their child custody and visitation rights limited in order to protect the children from the negative affects of such behavior. Furthermore, if one parent or the other develops a drug or alcohol addiction after a divorce has already been resolved, a child custody modification may be filed for in order to again, limit the amount of time the children spend with the addict parent. The bottom line is that a parent’s drug or alcohol addiction is not viewed favorably by the courts when it comes to child custody, whether it be during a divorce or afterwards. If your co-parent has become addicted to drugs or alcohol, speak with our Wall divorce and child custody attorneys today regarding your options for protecting your children from the irresponsible and dangerous behavior of your co-parent. If you have become addicted to drugs or alcohol, whether it be as a result of a divorce or any other reason, it is important that you seek guidance and support from the many different resources available to addicts across the state of New Jersey. In fact, seeking treatment for your addictions is the first step in ensuring that your parental rights are not limited by the courts when it comes to a child custody or child custody modification decision. Beyond these services, private counseling and therapy is also an option. 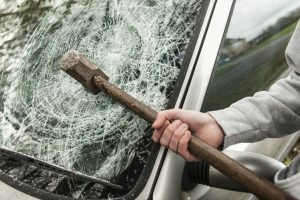 Importantly, if your custody and visitation rights have already been affected by a drug or alcohol addiction, it is important to understand that it may be possible to modify your custody agreement should you be able to prove to the courts that you are seeking treatment and have made tangible progress towards treating your addiction. Contact our Asbury Park child custody and divorce lawyers today to discuss your option for re-securing custody and visitation time with your children after overcoming a drug or alcohol addiction. 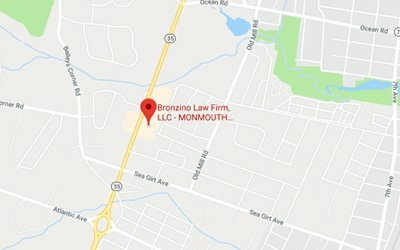 At the Bronzino Law Firm, we have extensive experience helping our clients to secure fair and accurate divorce and child custody agreements in towns across Ocean and Monmouth County, including Wall, Asbury Park, Brick, Toms River, Jackson, Neptune, Point Pleasant, and the surrounding communities. Attorney Peter J. Bronzino has built his practice on providing highly attentive legal counsel to each of his clients knowing that the more he understands his clients’ situation and needs, and the more his clients understand their legal options, the better he can work to achieve the best possible results. 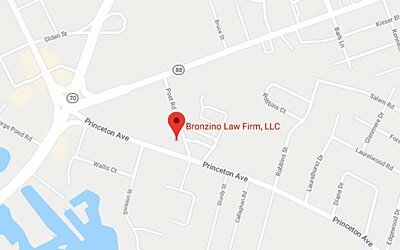 To speak with Peter Bronzino and our legal team today regarding your divorce, your child custody agreement or a child custody modification, or any other family law matter including child support, alimony, marital asset division, domestic violence, and more, please contact us online, or through either our Brick office or our Sea Girt office at (732) 812-3102.